Blizzard has just revealed the latest Overwatch map, simply called Paris. The new assault map comes to us pretty much out of nowhere, and it’s already available on the PTR. As the name suggests it’s set on the streets of the French capital. Expect it to hit the live game within the next handful of weeks. “Begin your journey at the Cabaret Luna,” the official description says, “where the velvety alto voice of preeminent diva Luna charms movie stars, revolutionaries, locals, and tourists alike. After the encore, step outside to see the sights and seize victory. Artisanal shops line the streets as you approach the first point, so duck in to sample a macaron or escape enemy fire. “Battle through alleys and corridors before clashing with your foes on the banks of the Seine. Once you establish dominance over your adversaries, make your way to Maison Marat and deliver the coup-de-grâce.” If you want to know what all that means in practice, the PTR update is already live. This debut is a surprise, and it comes without Blizzard’s usual set of teases – heck, Year of the Pig has barely even got started. 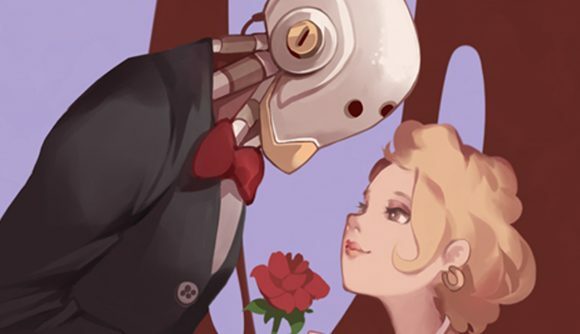 Judging by the bits of art we’ve gotten alongside the debut, there’s a romantic theme that suggests we might get the map on live servers around Valentine’s Day, which would fit the usual timing between a PTR launch and a proper release. The patch notes also detail a significant changes for damage, which will see non-recoverable health, shields, and armour consumed before any of their recoverable counterparts. So damage will now have to eat through all types of non-recoverable HP before taking effect on the normal stuff. You can check out the update for yourself the PTR, or wait a couple of weeks for the kinks to get worked out as the map hits the proper live game.